He never did get to play Tevye. 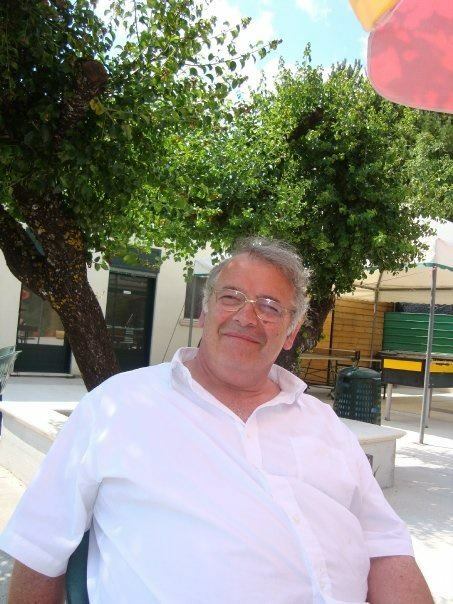 Paul J. Findlay, Chairman of The Smycms for many, many years, passed away on Wednesday 3rd of April 2013 following complications after a short illness. Paul first suffered a stroke in September 2012, he then suffered a second one in March 2013, then as if that wasn’t bad enough he was diagnosed with Cancer from which his body was just too weak to fight. Our thoughts go out to his family at this sad time. Paul had only recently celebrated his 60th Birthday but fortunately was well enough to have family and friends at his home to celebrate with him. He will be missed by many, not least by The Smycms with whom he had a close relationship with for many years, as Chairman and also on stage where he appeared in many of their productions, either as a principal or in the chorus. He worked tirelessly to ensure The Smycms were always at the forefront of the Edinburgh Am Dram scene. So it was with some frustration and sadness that Paul, despite his best efforts, watched as The Smycms over the last few years, dwindled out of existence. Owner of Fanelli’s Deli in Colinton, Paul was a well respected businessman, previously he ran a post office and in his early years he had the Westfield Function Rooms where many an after show party lasted into the early hours of Sunday morning, Happy memories. Paul was also a much in demand Piano tuner when he was younger, and often got jobs to tune for the many stars that appeared in concert in Edinburgh, Jack Jones and Gilbert O’Sullivan to name but two, though when he tuned the Piano for Gilbert he had to un-tune it as seemingly Gilbert preferred his piano to be tuned slightly off key. Survived by his wife, Elaine and his three children, Paul, Karen and Gordon and his grand-daughter Louisa, who lovingly called him Pop. His funeral will be held in the Main Chapel at Mortonhall Crematorium at 12:00 on Thursday 11th April followed by a burial in the cemetery. “Dear God, you made many, many poor people. Goodbye Paul its been a pleasure to have known you, R.I.P.